Well, it's been a little over a week since I started the supplements Samento and Banderol. For those that don't know, I'm taking these to see if they cause a reaction, flu like symptoms and a flare up. I'm doing this to see if I have Lyme's disease. If they cause a reaction, I will be tested by a lab in California. They will test for the full spectrum of Lyme's whereas most tests only test for a few variations. If the way I'm feeling is any indication, I more than likely have Lyme's either that or I'm just going through another bad spell. I will need to stay on these supplements for at least a month or so to make sure. The supplements kill off Lyme's which makes those little buggers active. My pain has been the roof, and I'm constantly tired. It seems like everything wears me out, even just walking to the mailbox and back. It's driving me crazy. The other day when my husband and I went to bed, we were snuggling, and I finally had tell my husband he had to move his hand. His hand was just laying on my hip but it hurt so bad I couldn't take it any longer. It drives me crazy because I want to be held and comforted. The only problem is that it hurts. So, it is not only causing physically pain but is bringing me down mentally. I really am trying to stay positive. This isn't always easy. It is discouraging not being able to do anything. I am trying to push myself to do some things, even typing this. It hurts to type, to crochet, to hold my kindle or a book, to clean up around the house and just about anything else. Don't get me wrong, I'm still trying to do these things as long as I possibly can. The other problem is that my pain meds are doing nothing for me anymore. I'm only suppose to take one every 8 hours, my strongest meds. The problem is that if they work at all, they only work for maybe a half hour. I'm not sure how long I will last with all of this. I just have to keep my eye on the goal - that I might be able to be cured. There isn't a cure for fibromyalgia, just pain management. There is a cure for chronic Lyme's. It can take a very long time to get cured, and you may get worse before you get better but you will get better. Of course, it is more than just the pain and fatigue. It is also the mental problems that drive me crazy. I seem to be getting worse in this respect. There are times when I can't remember very familiar words and names. It is extremely irritating when you know something but just can't remember the word. My sight and hearing seems to be getting worse, too. 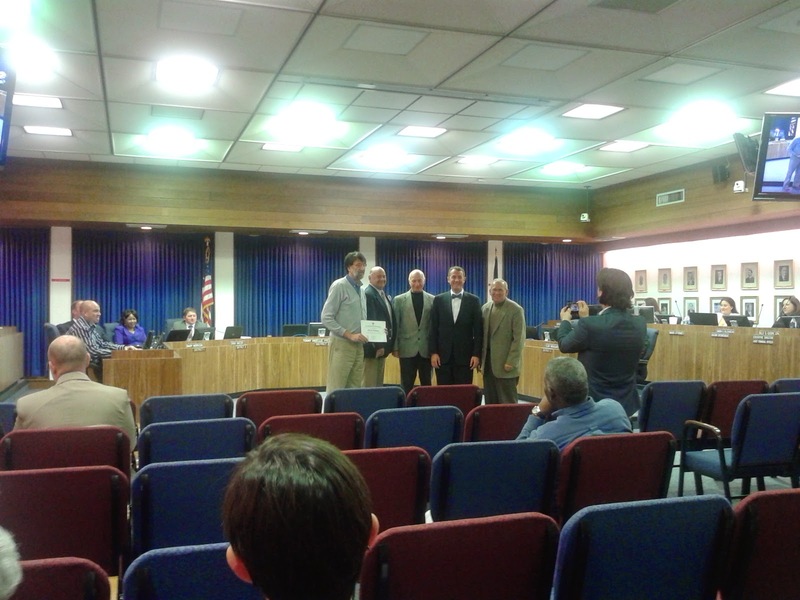 I was able to go last night and watch my hubby get honored by the school board. My husband is a speech and debate teacher. He just received his 2nd diamond award from the NFL, National Forensics League. In addition, he has a team that is in the top 10 in the nation. He has worked so hard and put in so many extra hours with the team. More importantly, he has been my rock. He almost never complains. He has taken over most of the cooking and cleaning for me. He does just about anything he can to make me feel better and to reduce my stress. He is a true rock star in my eyes. Oh well enough for today. Have a great day. I'm trying to do the same.